Huesca vs Real Betis predictions for this Saturday’s game in Spain’s La Liga as the bottom club targets a desperately needed victory. Read on for our free betting tips and predictions. This Sunday’s late game in La Liga comes from Huesca, where the Aragonese minnows will be chasing just their second win of the season against an impressive Real Betis side. The visitors are the favourites to get 2019 off to a winning start but they can’t afford to view this as an easy game, with Huesca perhaps unfortunate to only have 8 points on the board. 4 of those came in their opening 2 matches so a record of just 4 points from 15 games since then is a shocking one with poor finishing a big reason for that. They’ve tended to create chances in almost all their games and their expected goal stats make for very interesting reading. They’ve created 1.23 expected goals, conceding 1.36, figures that suggest they should be somewhere in the middle of La Liga. However in terms of actual goals, they’ve scored just 0.88 and conceded 2.00 per game and already find themselves 8 points from safety. 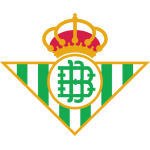 Therefore in terms of the balance of play, Betis shouldn’t expect to have this all their own way but they had an exceptional 2018 and look well equipped to at least replicate that in the new year. Betis were a bit disappointing in their final game in December, a bit fortunate to scrape a 1-1 home draw with Eibar but fatigue may have been a factor given they fielded strong sides in the Europa League. They would have benefited from the fortnight break more than most. This is a tougher game to call than initially meets the eye but Betis are available at decent odds for the win, given they are in good form with just 1 defeat in 12 matches in all competitions. They’ve also been impressive travellers, winning 4 of their last 7 road games, a sequence which includes victories over both Milan and Barcelona. Huesca have played pretty well but still lost too many times this season for it to be a coincidence. They have some decent creative options but lapses in concentration defensively and a lack of quality up top continues to haunt them and they will do well to get anything out of this game against a strong Betis side. Overall backing an Away Win appeals. Going for Giovani Lo Celso to score anytime also looks good. The bookies continue to offer generous odds on the Argentine who has had a great season so far with 8 goals from midfield in all competitions and he has netted in 3 of his last 4 Betis appearances. 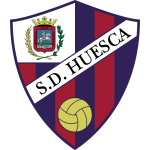 After winning in the opening LaLiga 2018/19 game, Huesca are winless in their last 16 games in the competition (D5 L11) without scoring a single goal in seven of those games. Real Betis have not registered a clean sheet in their last five LaLiga away games (W2 L3), the longest streak away from home under Quique Setién. Huesca is the only side in the Top5 European League without a clean sheet this season (17 matchdays). Only 12 sides previously had collected eight or less points after the opening 17 matchdays in LaLiga season (three points for a win) while only one of those managed to escape relegation (Espanyol in 2003/04 season). Only Rayo Vallecano (none) has scored less headed goals in LaLiga this season than Real Betis (1). Huesca’s Juan Camilo Hernández has scored in his last two LaLiga games and he is the Oscense side player who has been involved in more goals this season than any of his teammates (four, three goals and one assist). Real Betis’ Cristian Tello, has assisted five goals in LaLiga 2018/19, his best record in a single LaLiga season. Real Betis boss Quique Setién has only won one of his five games against Huesca in all competitions (D1 L3), 2-1 as Las Palmas manager in Copa del Rey in December 2016.